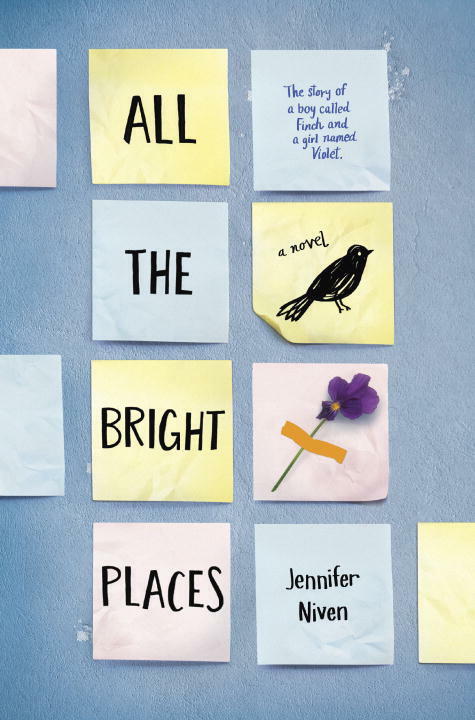 All the Bright Places is at its heart a story of an unlikely friendship and then love between a girl named Violet and a boy named Finch. However, it’s not your average YA romance, and there are richly created scenes and moments. It has been compared to The Fault in Our Stars, but I found it to be so much more than just another story dealing with loss. I chose to read this book after a recommendation from a good friend who loves YA. The story takes place in my home state of Indiana, which is where the author grew up. I appreciated the amount of research the author completed about the different “bright places” of Indiana, as well as the way she wove in so many passages and quotations from famous literature and writers. This was a beautifully written, touching story, and I would recommend it wholeheartedly. The story touches on so many important issues which teens unfortunately may face on a daily basis: loss of a sibling, survivor’s guilt, grief, abuse, mental illness, bullying, and suicide. Both Violet’s and Finch’s narration captivate the reader, and both have important stories to tell. After reading, you’ll have a new appreciation for Post-it notes and teenagers. Read it, read it, please read it!